Marvel Team-Up #141 - 75¢ Canadian Price Variant - in VF condition. 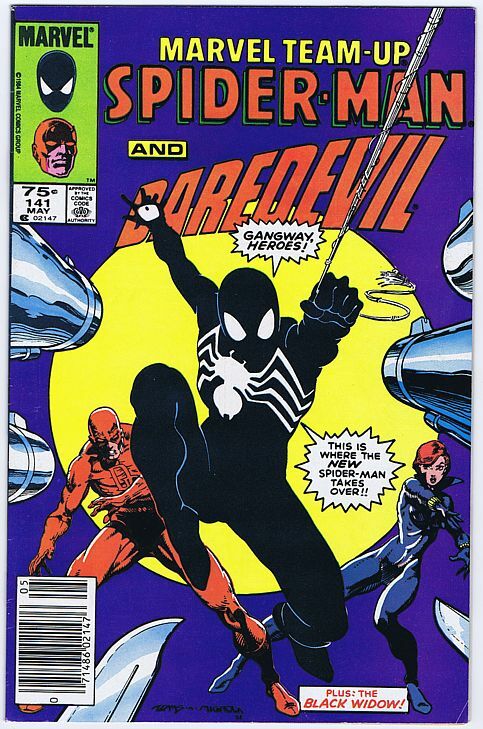 Ties with Amazing Spider-Man 252 for first appearance of the black costume. Daredevil and Black Widow appearance. This 75¢ Canadian Price Variant is much scarcer than the Amazing Spider-Man 252. This product was added to our catalog on Saturday 06 March, 2010.